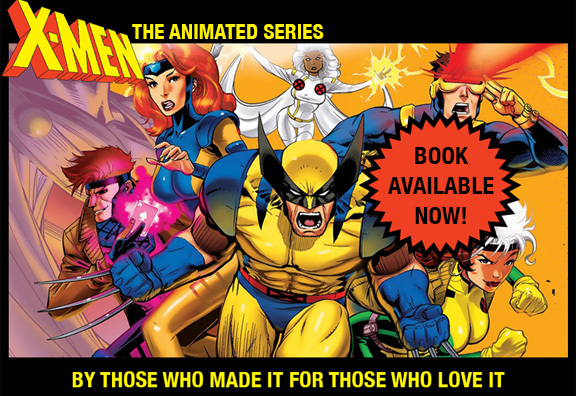 Every lead X-MEN:TAS character was important to the storytelling. Different fans have different favorites. We couldn’t have crafted the 59 stories we did without all of them. But if push came to shove (not something you would be encouraged to do around this guy), one character emerged as the heart and soul of the team: Wolverine. Logan was such a compelling character (thanks, Len Wein) that we had to fight the urge to overuse him. People forget that he was nearly 100 years old when we told our stories, that he had lived through two world wars and “seen it all.” He either cared too damn much, or he’d find himself, like Ben Johnson in The Last Picture Show, “just tired of putting up” with things. He was world-weary and a hopeful romantic at the same time. He must have had a dozen doomed loves over the years, probably sure in each case that “this was the one!” He just felt things so deeply that watching him we had to feel it as well. With all that said, I think that our team was the perfect set-up for his character to flourish. He wasn’t the team founder — that was Xavier. He wasn’t the field leader — that was Scott. Despite his anger and frustration, he respected their authority and his place in the team. But if he needed to bust loose and leave for a week, he could. That’s something Charles Xavier or Scott or Jean would never do. It’s like making him a sergeant in the army instead of a general. That’s where he belongs. I think that may be why it has been tough to make him “the lead” in follow-up movies and TV series. It’s not a natural place for Logan to be Logan. He’s at his greatest when he overcomes personal demons for the X-Men, or a lover or a friend, not alone. We all know he can always “Go where I wanna go!” as he famously proclaimed as he stormed off in an early story. The fact that he stays, for the X-Men, is what makes him great. Below is a recent sketch by X-MEN:TAS designer Will Meugniot which conveys for me some of the pain and regret felt by this memorable hero.